OK, here’s the first warning this is a very hot XXXXXXXX troupe of male strippers that will go all the way, you have been warned! 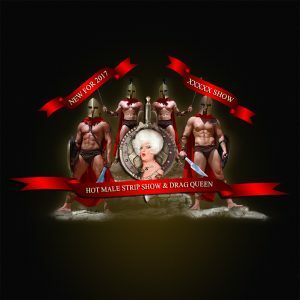 Along with their saucy comedy drag act ‘Davina Sparkle’ these ‘Essex Boys’ will show you the way it’s done at La Quinta. A brilliant entertaining night out and perfect for any of you hen nighters out there, this fun evening will have you shouting for more and if you shout loud enough they will oblige! Includes all entertainment, 3-course meal and disco ’till late.